The new Mi Band by Xiaomi, manufacturers of ridiculously inexpensive smart phones in China, makes a great vibrating wristband alarm clock. While its main function is as a fitness band similar to a Fitbit Flex or a Nike+ FuelBand SE, the Mi Band barely makes a dent in your wallet at $15 complete with charging cable. In comparison, other fitness bands start at about $100. 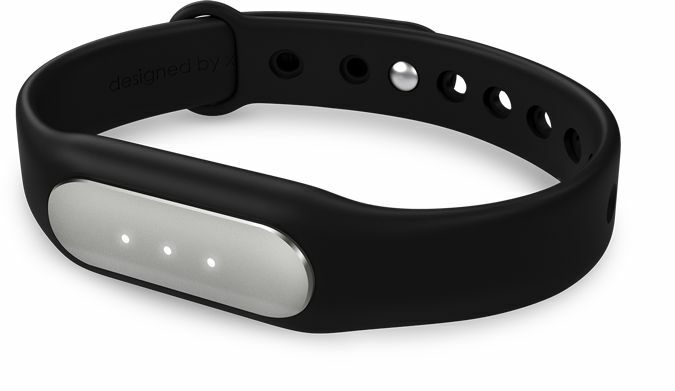 The Mi Band requires an iOS or Android phone. 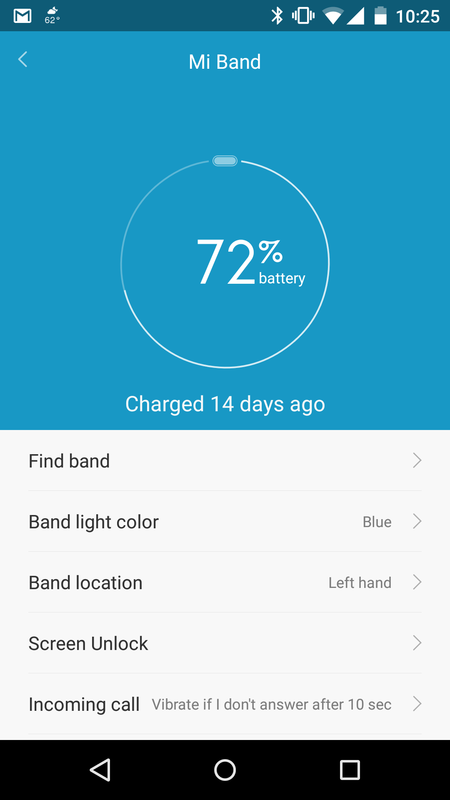 Install the free Mi Band app, and set up an account with Xiaomi. Several steps of the setup involve receiving a confirmation code text from Xiaomi, apparently to enforce super security on how many footsteps you take each day. You can set an alarm to wake you up with a firm vibration once, or on any combination of days of the week. Everyday and Weekday options are quick presets, and a customize option allows you to choose which particular days you would like the alarm to wake you. If you prefer to be awoken gently, you can set the alarm to start vibrating gently 30 minutes before your wakeup time, slowly increasing in strength. To turn off the alarm when the band is vibrating, just tap on the metal part of the band with your finger. 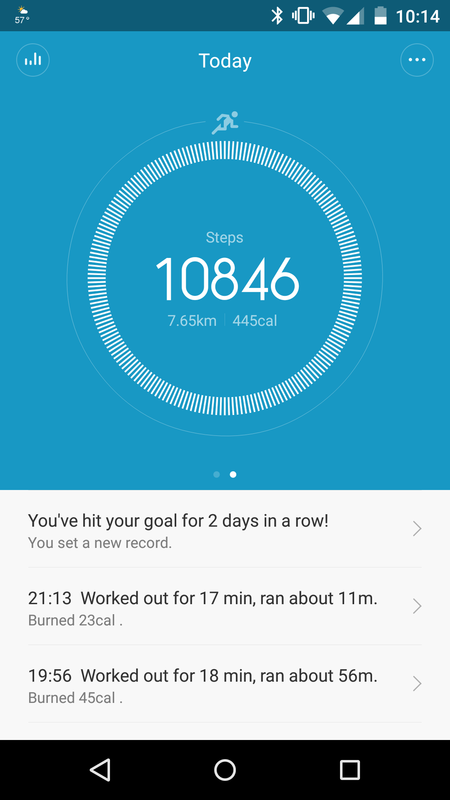 The app can show you how many steps you’ve taken for the day. While I initially had no interest in that function, it quickly became addictive, and I’ve found myself walking a bit more each day to rack up the step count. If you believe the marketing photos, the Mi Band is very effective at encouraging you to lose more of your body fat than is necessary. The battery life is listed at 30 days – much longer than any of the other fitness bands. I’ve been wearing one for two weeks, and it’s still at 72%, so I expect to get closer to two months per charge. Charging is simple – pop the module out of the replaceable silicone wrist band, and insert it into the USB charging cable. You can set the Mi Band to vibrate if you receive a phone call and don’t answer after a programmable amount of time. If you don’t hear the phone ring, or if you don’t feel the vibration, the band will certainly get your attention. With a rating of IP67, you can wear the Mi Band in the shower. 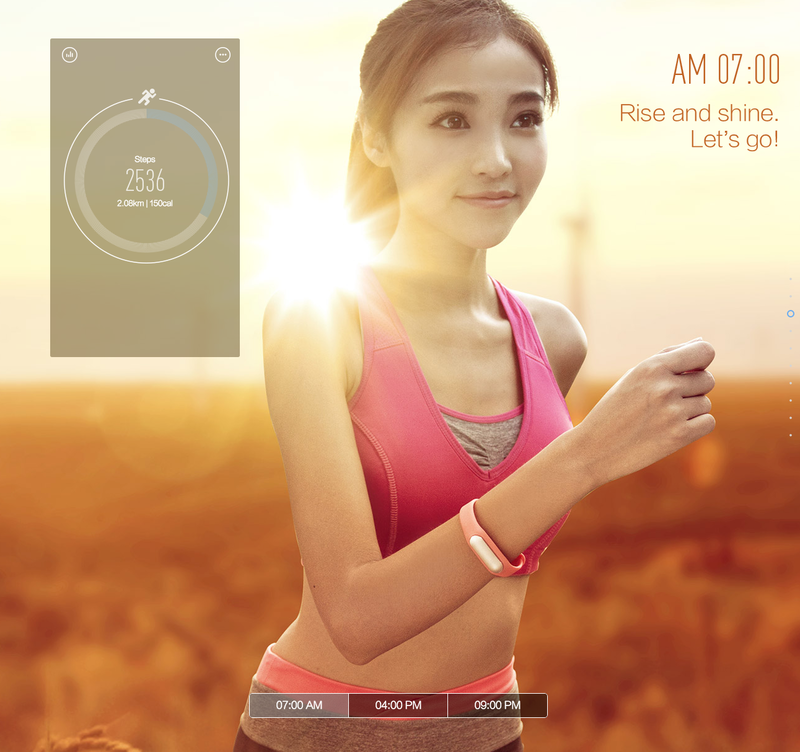 The Mi Band is available now in China and a few select nearby countries. It will be available in a country near you in the coming weeks. This entry was posted in News and tagged cochlear implant, Mi Band, Vibrating alarm, wrist band, Xiaomi by CochlearImplantHELP. Bookmark the permalink.